Mrs. Unkefer's 3rd Grade classroom has some new seating in their room! we reached out to area businesses for support. The result? Both Organic Technology and McWane Ductile came through with donations to purchase seats for our classroom. 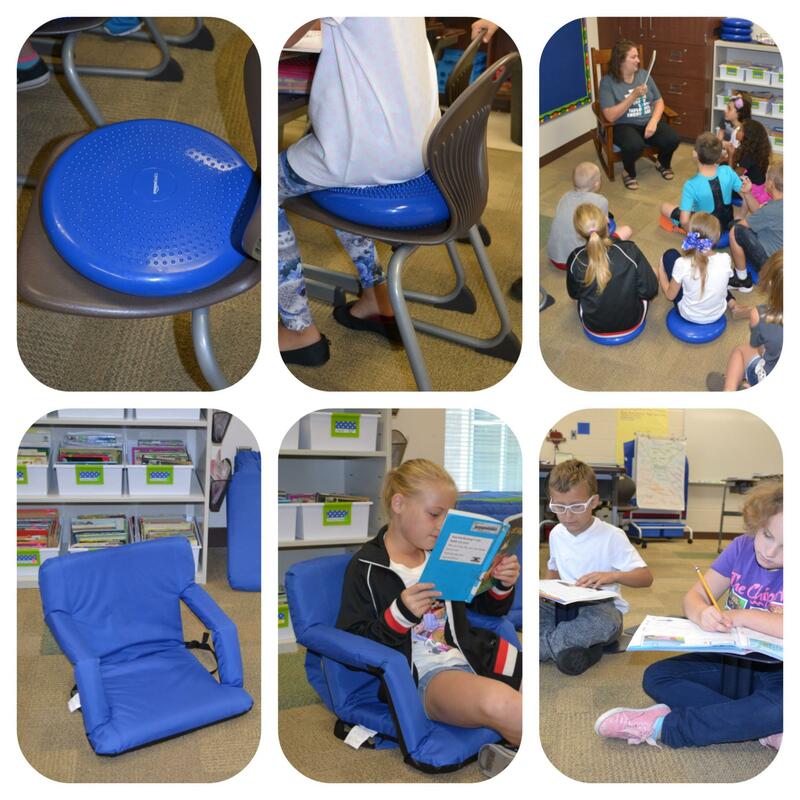 Each student in the class has a wiggle cushion on their chair! We were also able to purchase 2 floor desks and 4 stadium seats for our Silent Reading center. We are so thankful for community support!